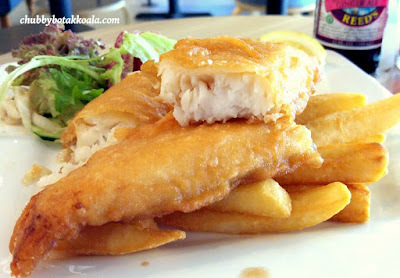 Fish & Chips ('F&C') brought me back to my memories during my high school in Melbourne. A good plate of fish and chips always have three characteristics: Light and crisp batter; Fresh, flaky and juicy fish; Of course mountains of fries. It is kind of difficult to get a pretty decent F&C here, they either use lower quality fish to maintain the cost down or charged pretty high. I can't remember when I saw Murphy's in the media post featuring F&C shop in the heartland. A quick google, I found the location. Apparently it is not that far from my office. So I decided to drop by for my usual after 2 pm late lunch. Located near Cheng San Market and Food Centre, in Ang Mo Kio. It took me a while to find the restaurant as it was facing the big carpark behind the Anderson Secondary School, instead of the market. The décor was minimalistic with a rustic feel. 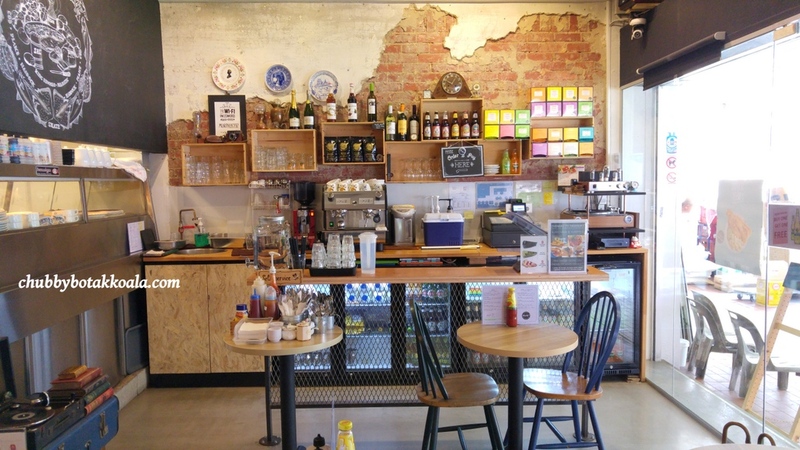 The overall feel of the cafe / restaurant is very cosy. I ordered Murphy's Fish and Chips ($16) and Crispy Wings ($10). There was a lunch promotion from Tuesday to Thursday, a free drink with any order of a main. FYI, food need to be ordered and paid at the counter and the food will be served to you. First impression, F&C looks like a pretty good portion for $16. Cut through fish, the batter was light and crispy. There was no residual oil on the plates from frying. You can see the smoke ozzing out from the fish meat. I noticed that the fish was pretty firm. When I bit into it, it was flaky, nicely seasoned and not fishy. Apparently they used Arrowtooth fish from Canada that gave this amazing texture instead of the usual of dory or sutchi. I actually finished the whole fish without using any sauce (Yup, I did not even bother with the tartar sauce). For the chips, it was thick, crispy on the outside and soft on the inside. Before your hand grab a hold of the tomato sauce or chilli sauce, try to eat the chips like the Brit, with vinegar. They offer the balsamic and white vinegar. This is actually good to reduce the overwhelming flavour of eating too much fried stuff. The salad with balsamic vinegar on the side was also very refreshing. Crispy Wings reminded me of McWings. There was 8 pieces, combination of mid wings and drumlets. The thick seasoned batter was crispy, sealed the juice in the meat. It is a bit spicy for the kids, but adults will definitely like it. I was pretty stuffed with the F&C so only managed to eat 2 pieces and packed the balance. 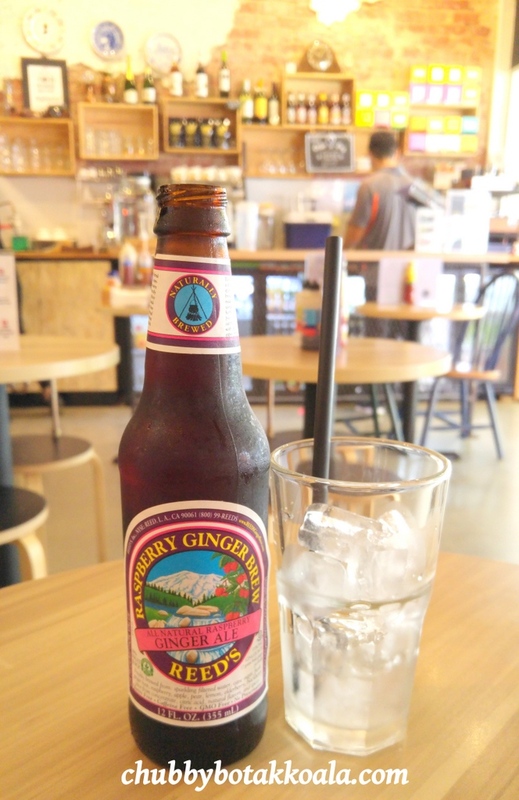 For the FOC Drink, I decided to order Artisan All Natural Ginger Ale by Reeds (normal price $6 per bottle). A pretty unique flavour, with a solid kick from the ale. Apparently there is no preservative, so its even better. Service was friendly and prompt. I had a chat with Darrem, the person in charge that day and I honestly gave him my feedback. 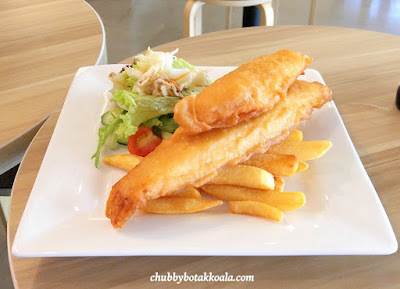 The Fish and Chips were excellent, comparable to the high end establishment in town. While Murphy's only charged $16, those in town will charge $28 and above. 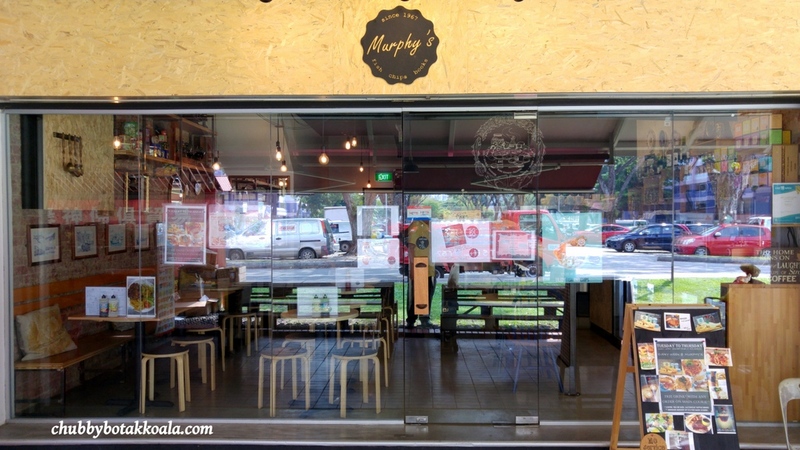 So if you are a Fish and Chips fans like me, you must give Murphy's a try. Cheers! !